Whether you are a large organisation with many employees or a small business, most companies are challenged with meeting room facilities and availability. Not knowing what the best solution would be, which visuals to use – monitor, projection, touchscreen, wireless presentation capabilities, plug and play ease of use for visitors, room booking etc etc. Here at Newlandmedia we can make your vision a reality. 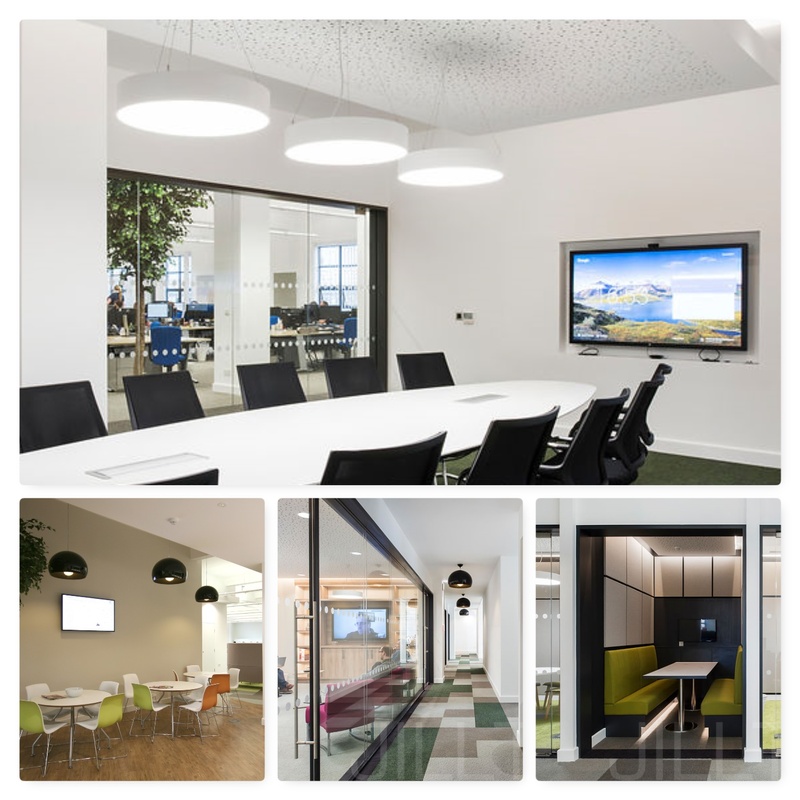 We have many years experience planning, designing and installing highly engaging and user friendly meeting rooms for a range of organisations including large corporates, government organisations, NHS and education establishments. As a solutions driven Audio Visual specialist, we are focused on making our clients lives easier by providing the best solution within budget with an after sales service that is unrivalled. Our aesthetically pleasing, high resolution 4K HD flat screen solutions provide bright and vibrant images without the irritation of shadowing, unlike some of the older models on the market. No more lack lustre presentations falling asleep at a flip chart or worse still, death by PowerPoint. Our Interactive Touchscreen solutions offer a wide range of features and functionality, including collaborative presentations, document annotation and manipulation, electronic inking over any source to name but a few. How many times have you turned up for a meeting and the room has been double booked? An increasingly popular solution to this problem is our room booking system. No more paper notes stuck to doors, or arguments due to incorrect diary dates. Integrates seamlessly with your office or home based calendar system, or better still the system can be operated by a dedicated app. No more trailing cables, faulty sockets and general health and safety nightmares. Our plug and play wireless connectivity solutions will make life so much easier. We have always been impressed by the team at Newland from our initial consultation to the recent work they have completed for us during our latest office refurbishment. The equipment installed is 1st class and the workmanship is second to none. They even manged to get the 84″ screen up some tight stairs!